Lori F. Reiner is the Chief People Officer for EisnerAmper. Most recently, she served as the firm’s Partner-in-Charge at the Philadelphia practice. With over 30 years of experience, she specializes in providing accounting, audit and advisory services to closely held and private equity-backed companies. Her industry expertise covers a wide spectrum of clients in large professional and other services companies, which include life sciences, advertising, marketing, staffing, search, technology and other business-to-business service organizations. She also works with real estate companies. Lori has been recognized by several organizations for her professional and personal contributions to the Philadelphia business and local community. Most recently, Lori received the 2017 Take the Lead Award from Girl Scouts of Eastern Pennsylvania and Temple University’s Fox School of Business Accounting Achievement Award in Public Accounting. In the community, Lori is active in several organizations and serves as a board member of the Greater Philadelphia Chamber of Commerce, Committee of Seventy, Abramson Center for Jewish Life and the Alliance for Women Entrepreneurs. She most recently served as a Co-Chair of the United Way of Greater Philadelphia and the Southern New Jersey Women’s Leadership Gala, which supports the Girls Today Leaders Tomorrow Initiative. 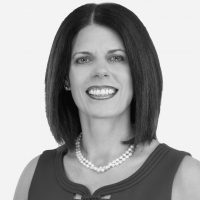 Lori has long served as a member of the American Heart Association Go Red for Women campaign as the Chair of the Executive Leadership Team in 2014 through 2015. In addition, Lori is a frequent presenter, writer and media source for various business topics.